The practice of contemporary art therapy involves reflection on multiple philosophical, theoretical and practice models, and is often dependent on a range of specific settings or populations. Yet until now, the diversity of the profession has not been brought together in a single text. The Wiley Handbook of Art Therapy resolves the issue by providing unsurpassed breadth and depth of coverage of the subject, through a collection of theoretical and research approaches to practice. The handbook also explores various research models and professional issues, and provides a survey of global perspectives. There are nine sections, each focusing on a crucial aspect of the field. These include a general overview, materials and directives, developmental continuum, assessments, research, special populations, interdisciplinary relationships, international art therapy, and special and contemporary issues. The result is an authoritative, state-of-the-art collection of the latest research in art therapy. Its multidisciplinary approach makes it a comprehensive and invaluable resource for all those in this field. 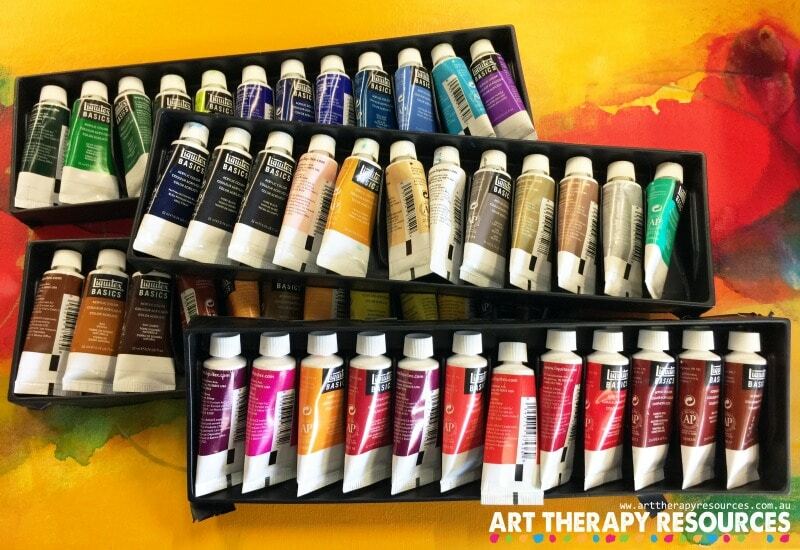 The result is an authoritative, state-of-the-art collection of the latest research in art therapy. Its multidisciplinary approach makes it a comprehensive and invaluable resource for all those in this field. Each of the 9 sections are listed below, along with a number in brackets that indicates the number of chapters in each section. The first 2 sections contain the building blocks of Art Therapy through exploration of its history and the use of art media. The final 2 sections explore issues within the Art Therapy Field such as cultural influences and the future for Art Therapy. Each section has about 7-12 chapters, with each chapter written by a different expert in the field. Approximately 90 authors contributed to this book. This approach equates to a lot of content and an enormous variety of input from different perspectives. There is 84 chapter in total. You can download a summary of all 84 chapters included in the book. 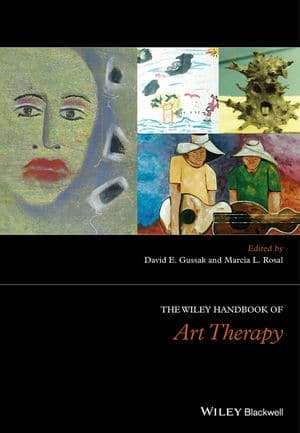 You can also view the contents and a few sample chapters of the book on Wiley Handbook of Art Therapy. I appreciated the additional content for referencing, and the suggested readings. Each article was heavily referenced, which is a good indicator of the quality of the content. The book also provided a lengthy list of additional resources to explore on my own. These resources provide an avenue to expand on the shorter content (my only dislike – mentioned further on). A number of the chapters had content that would have been good to explore further, however, all chapters were presented in a smaller format which made it feel like a series of articles that only covered the surface. Given the breakdown of the book: 9 sections which were further grouped into 4 key areas, this handbook could have been divided into a number of volumes so that chapters could have been expanded. In its current format, the book provides a one-off purchase with all of the content in one book. Purchasing multiple volumes would be much more expensive and possibly prevent readers from accessing the breadth of the material that was covered by this book. 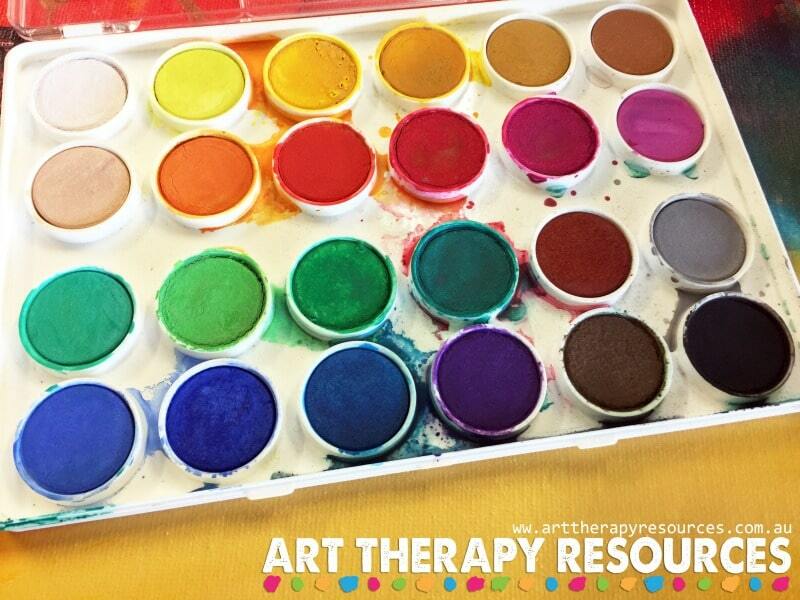 Art Therapy has developed beyond those 2 approaches and now integrates a broader influence of various psychological theories. Cultural influences also impact the delivery of art therapy as therapists around the world incorporate cultural norms and their own theoretical orientation. This handbook captures a range of all these areas and more. Hence, 84 chapters and 912 pages. Below is an example exercise from the book. This exercise is featured in chapter 27: Art Therapy with Older Adults: A Focus on Cognition and Expressivity. The chapter was written by Amanda Alders Pike. The exercise is not only applicable to older adults, but can be utilised across a broad range of client demographics. 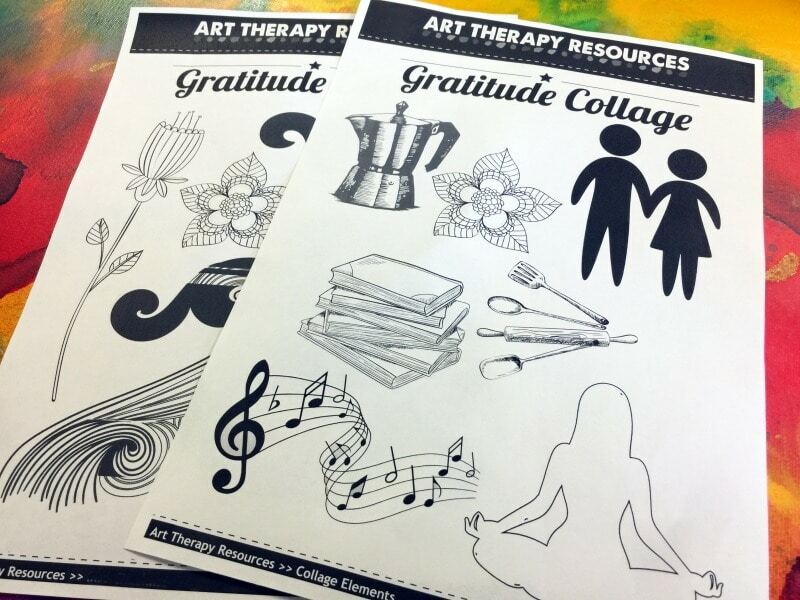 The task details are taken from the Wiley Handbook of Art Therapy. 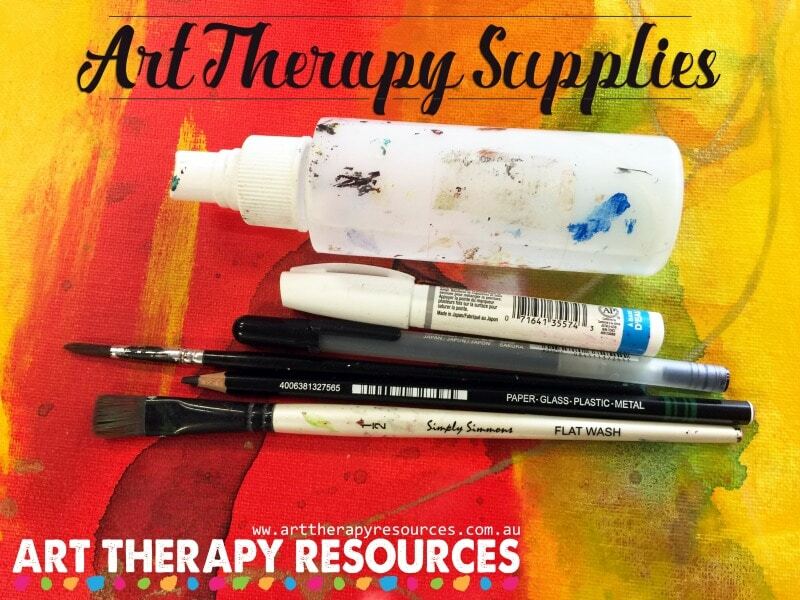 The supplies list and final art image are provided by Art Therapy Resources. The black and white clipart images were sourced from Freepik Clipart. 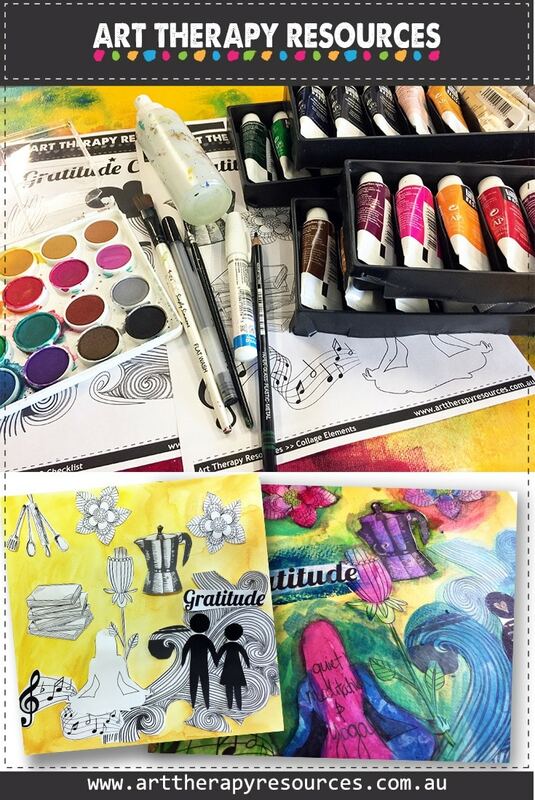 TASK: Create a collage of gratitude. Use images to represent experiences and aspects of your life that you are grateful for. 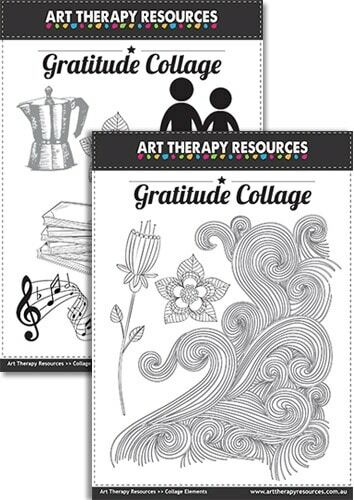 Below is a FREE download of some clipart images to use for collage in this Art Therapy exercise.